Friday November 21st, 2014 marked the release day for the paranormal short story Huntin’ , the latest from author V. L. Murray. 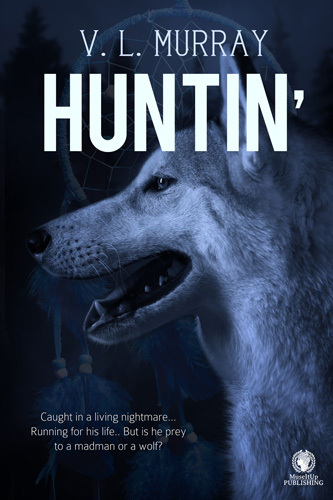 “Huntin’” can be purchased online at Amazon.com. First Line: “Bet it’s colder ’n hell up there,” Jack muttered as he threw his winter parka onto the ever growing pile of clothes in the middle of the bed. There’s something to folklore or legends, and even myths, like part truth, part speculation, and a good portion of belief. Ms. Murray draws on all, intertwining fact, fiction, and belief in this literary paranormal marvel of a read. Follow Jack down a journey of anger, discovery, and danger – old ways that prove strong and valid in his family lineage, Dene, First Nations from Northern Canada. This story proved a great escape into a world within my own, one I found quite intriguing and thought provoking. Great read if you enjoy paranormal, suspense, and maybe a little history of Native Canada. Jack goes on a reluctant journey home, to the northern woods, to the cold, to the dark, but also to his beloved grandfather, an old man balancing on the precipice between life and death, harboring within him an ancient, powerful and bloodcurdling secret, a secret revealed to Jack as he is pursued by a cruel killer. Will the secret be enough to save him? This beautifully written tale blends the grand sweep of nature with the ancient spiritual woodland spirits to create a spine-tingling tale that will keep you turning the pages and going back again and again. Great value!! Great story! !